We recommend using glass-based or porcelain tea ware. Rinse tea cup and teapot with hot water. Use about 2 grams of tea leaves (1-2 teaspoons) for every 150ml of water. 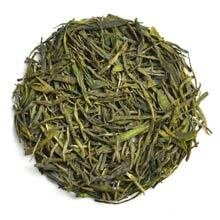 Steep tea leaves in hot water at 70°c (158°F) to 80°c (176°F) for 1 minute for the first and second brewing. Gradually increase steeping time and temperature for subsequent brewing.